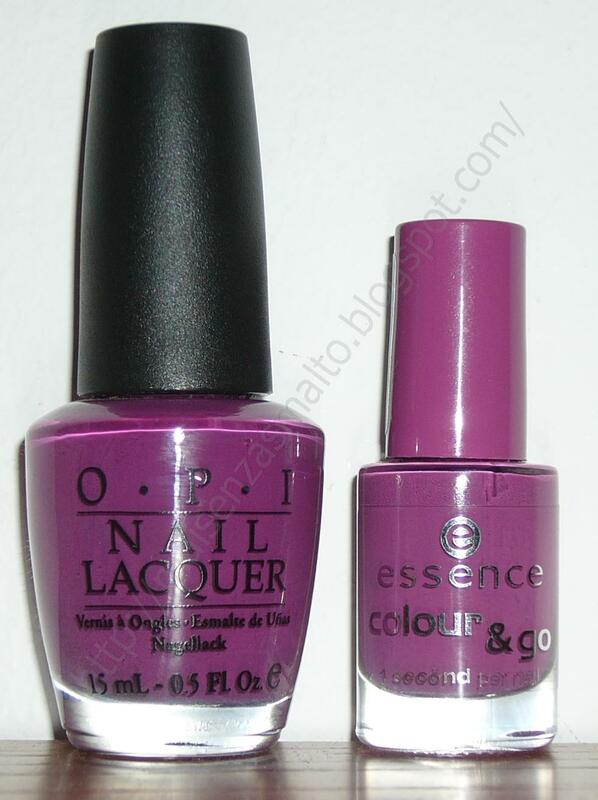 I love purple and tend to buy a lot of violet, fuchsia, lilac...polishes; from the bottle these two looked similar (pic 1 under the sun - glass was reflecting :-(, pic 2 indoor, with flash) so a sunny day I decided to try my first comparison (last week, these days have been so rainy and swatch unfriendly)! BTW as I have some problems defining colours, I searched on Wikipedia: these purples could be described as Fandango or Royal Fuchsia. Do you use these words in colloquial language too? 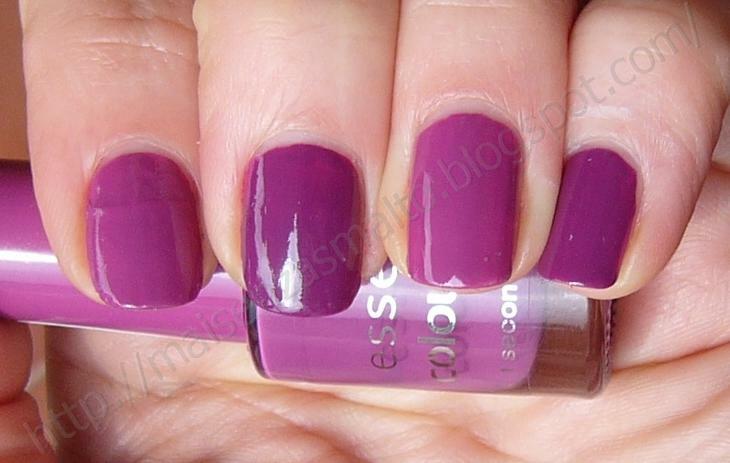 Essence polish is opaque from first coat, slightly dusty and lighter than OPI one; it is also thicker but applies well. OPI is darker and more shiny, perfect application (quite fluid), maybe less opaque after first coat but practically perfect after the second. 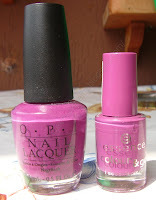 In short: no dupes, two nice polishes worth having! Essence: un bel viola-malva, leggermente "spento" pur essendo lucido, coprente già dalla prima mano, si stende benissimo. Perfetto in due mani (è abbastanza denso). OPI Pamplona purple: più scuro e lucido, stesura ottima, più fluido. Forse meno coprente ma comunque ok dopo due strati. In conclusione: niente doppione, due smalti da avere! Nice comparison. I've had the Essence in my hands quite a few times but resisted the impulse, though the flesh is weak so I guess I'll give in eventually. I'm not sure whether it has been discontinued or not :-/ in that case you could find it on sale! !